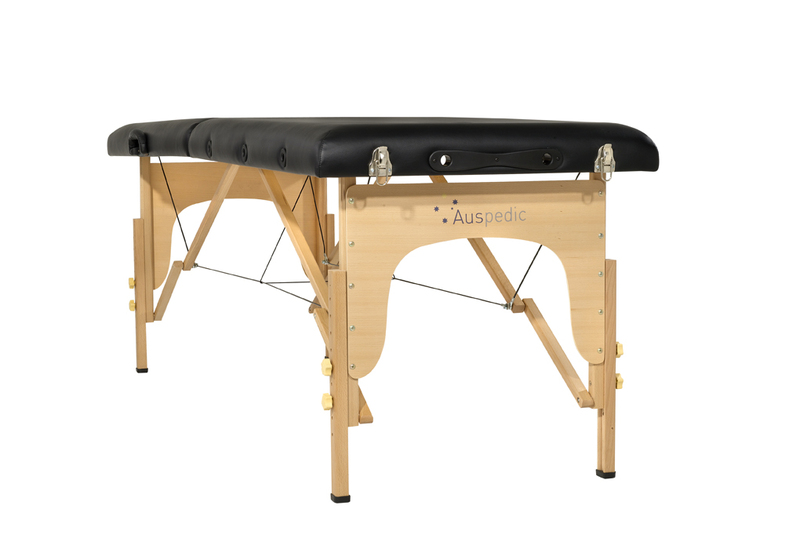 The wooden construction and quality craftmanship of AP-4010 gives the table a warm feel for both the masseuse and client. Includes free Carry Bag. This is our easiest table to unfold and fold away, the legs flick out when unfolding and then you simply turn over. Vice versa for folding away. Portability is easy and twin locking clips hold the table securely when folded. 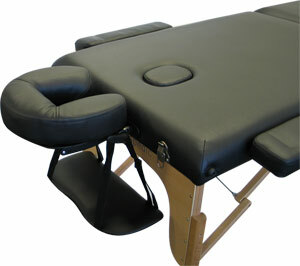 The thick padding and extra width in this table create a very comfortable experience for your clients. 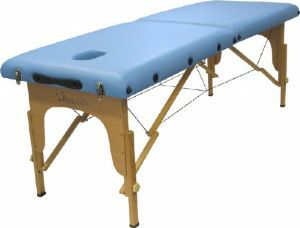 This table comes with an Adjustable Face cradle, Hanging arm rest & Width Extensions. The face cradle can be easily adjusted to allow your client's head and neck to be positioned exactly as required. This is an easy and inexpensive way of giving your massage table extra length and width when required. It also provides your client with an arm rest for extra comfort. The extension kit can be stored in straps located underneath the table when not in use or when transporting the table. To protect your table an Auspedic Heavy Duty Carry Bag (AP-B2) is included free of charge.